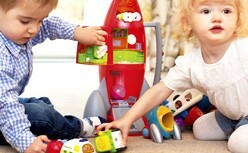 It is a legal requirement to ensure Toys and Dress up Costumes are tested to EN71 part 2, Flammability. This is called up within the Toy Directive 2009/48/EC. The EN71-2 regulation looks at a number of different factors which could lead to a injury to a child due to flammability. These include determining the presence of any flammable materials that are prohibited in children's play things, how long the item burns for and how quickly flames spread across it . Different types of items have different rates at which they are deemed to have passed. The turnaround time for this service is within 5 working days. 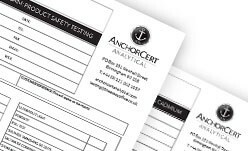 Please click the video links below to view the Flammability testing being carried out by AnchorCert Analytical. Sorry, your browser does not support embedded video tag.